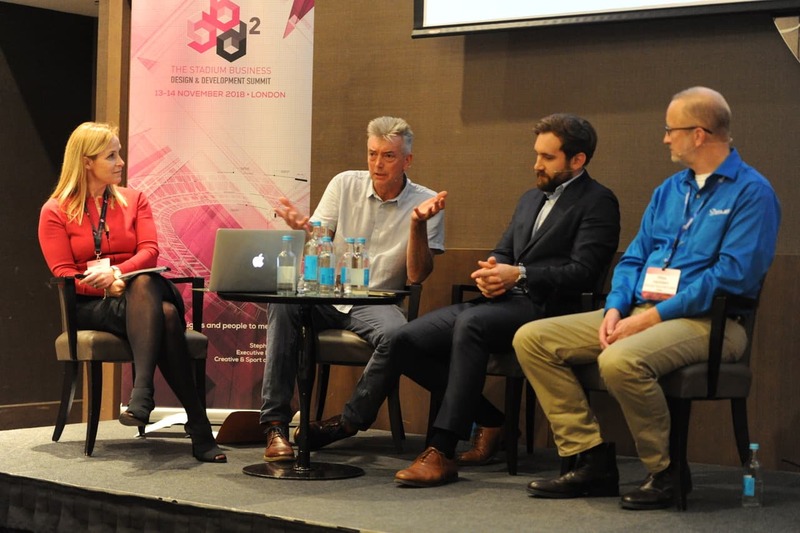 After two days, more than 30 speakers and a record number of delegates at Wembley in the shadow of the stadium’s famous arch, TheStadiumBusiness Design & Development Summit 2018 produced some key take-aways. Stadium venues are bringing fans closer to the action – with the Atlanta Hawks’ new courtside bar and the proposed new home of Hertha BSC being two prime examples, with the latter’s managing director, Klaus Teichert, revealing that the stadium designs have incorporated noise level projections to predict “intimidation”. However, simultaneously, fans are being given more room to breathe, especially in concourse areas, where there are enhanced commercial and concessionary opportunities. As part of the Hawks’ revamp of State Farm Arena, chief operating officer Thad Sheely (pictured below) revealed that 15% more space had been added for fans, with walls torn down to provide a better flow. “The concourse has been opened up so we have been able to put in great spaces for fans to socialise,” he said. Food – and particularly the quality and variety of the facilities offering it – has becoming absolutely vital over the past decade. As Commerzbank-Arena CEO Patrik Meyer said, “the days of just beer and bratwurst are over”, with Eintracht Frankfurt’s home having opened up multiple menu options through guest outside catering trucks and pop-ups to satisfy changing tastes since the stadium opened 13 years ago. “Food is an important part of the experience,” said Alain Belsouer, the chairman’s advisor at Le Havre AC, where a new restaurant with a capacity of up to 400 is planned in the east stand. Sheely underlined how “the food you serve is super-important” and added that “we didn’t just hire anyone” for State Farm Arena’s new signature restaurant. “We hired an executive chef from a five-star restaurant in Atlanta,” he said. BIM is playing an increasingly important role in reducing risk and optimising design processes that inevitably evolve due to multiple factors, including value engineering. “Computational engineering allows us to solve us problems that were previously unsolvable,” said Ramboll UK’s Martin Willis. 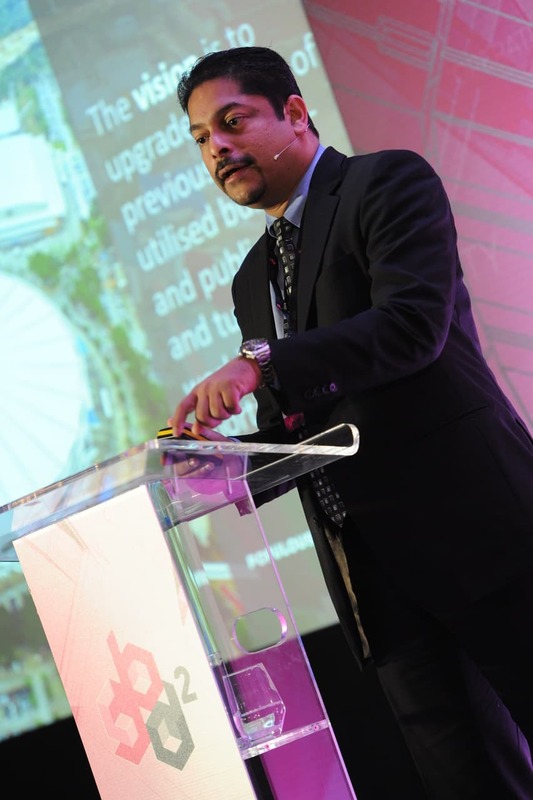 RJ Gonzalez, BIM information manager at Espai Barça, outlined how FC Barcelona is shifting towards an “OpenBIM” strategy, prioritising the use of long-term data to underpin decision-making – not just for construction but for future operational efficiencies. According to AS Roma’s John Winborn, “robust connectivity is like water fountains – you can’t run the stadium without it”. He added that robust WiFi is already a top priority for fans in North America, with expectations set to rise elsewhere in the coming three to five years. 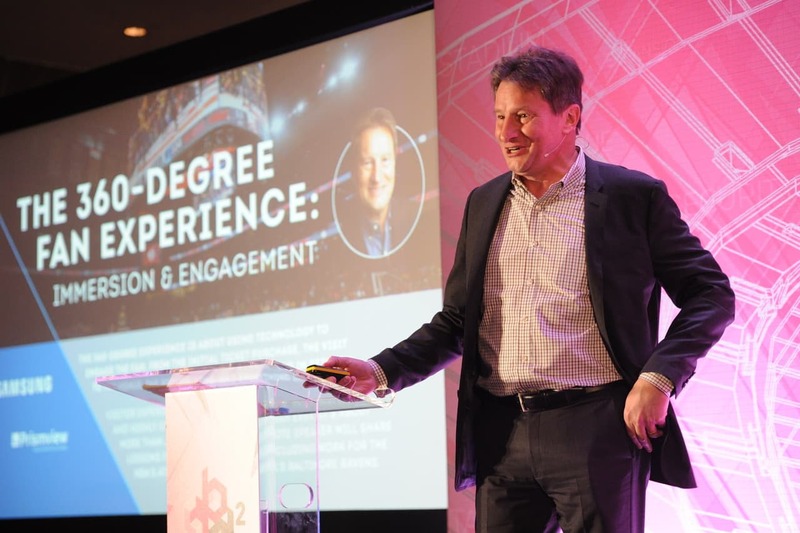 Don Szczepaniak (pictured below), president and CEO of Prismview, a Samsung company, said that a truly connected omni-channel fan experience, underpinned by IoT, could produce spectacular stadium retailing results in the future. 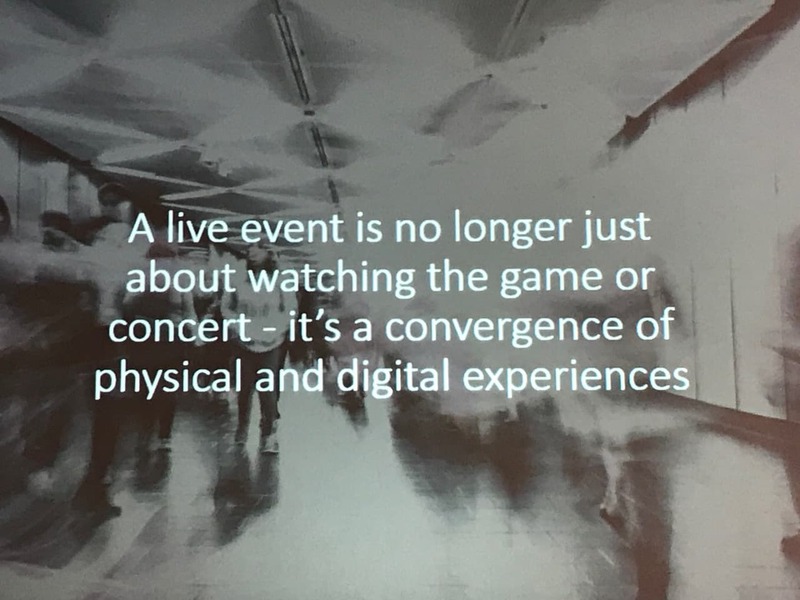 Meanwhile Matt Hudson, principal architect for intelligent spaces at Ultima, provided the startling statistic that fans on site at the recent Ryder Cup in France were connected for six hours on average. 6) We can’t hear you! Harman senior business development manager Ryan Penny, d&b audiotechnik director Stephen Hogg and Mike Hedden, chief steward of Danley Sound Labs, were united in expressing their frustrations with regard to the lack of recognition of the role of quality audio within venues. The panel agreed that the power of sound enhances the fan experience, can provide an edge to your team and also attract bigger and better sponsors and advertisers. Vanguardia Consulting managing director Jim Griffiths– the recipient of the Outstanding Achievement Award at the TheStadiumBusiness Design & Development Awards 2018 – told TheStadiumBusiness that audio needs to find a way to “move up the food chain”. Perhaps at the expense of audio in certain circumstances, money is being ploughed into video screens and particularly LED technology in the North American major leagues. Timelines for major developments appear to be getting even more optimistic – but Grimshaw partner Kirsten Lees warned that such aggressive schedules could leave insufficient time to fine-tune a project’s technical specifications. Datuk Nalgunalingam (pictured below), general manager of Malaysian Resources Corporation Berhad, recalled how €310m was spent on revamping four venues in just 18 months ahead of the 1998 Commonwealth Games. However, timeframes seem to have only been squeezed in the two decades since then. It took the Atlanta Hawks just 30 months to remodel State Farm Arena, while Le Havre FC is also facing a race against time to finish three major projects in line with the expectations of the French club’s new owner. 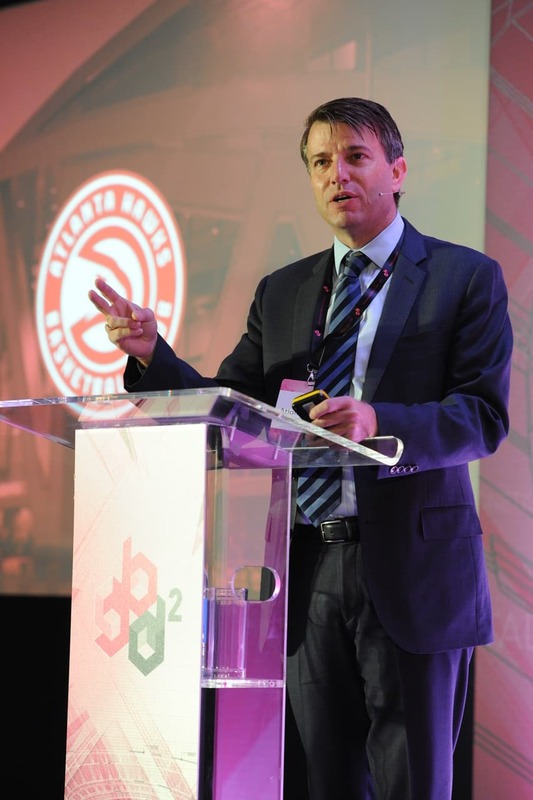 The Stadium Consultancy managing director Ben Veenbrink said that tournament rights-holders have played a part in easing the time pressures by awarding hosting rights to major events much earlier. However, project managers are increasingly having to juggle building work on site with games that are still taking place at the venue – with FC Barcelona being an obvious example. KSS director James Budd outlined how there are various considerations when building during a season, including “the nature of the venue, event calendar, type of project, ROI, capacity, construction programme and customer experience”. Espai Barça’s RJ Gonzalez (main picture) outlined how football teams build their image on three pillars: the crest, the shirt and the stadium. The stadium, therefore, must offer an authentic link to its location and the history of the club. For example, State Farm Arena was remodelled to “connect people together” and reflect Atlanta’s heritage as a “city built on railroads”, according to Thad Sheely, and FC Barcelona project manager William Mannarelli said that the club’s new museum will offer “an authentic Catalan experience”. Meanwhile the new Cagliari Arena will be clad in the local Sardinian stone to provide a link between land and the nearby coast “so it has been born from the island”, said MANICA Architecture principal David Manica. Commerzbank-Arena’s Patrik Meyer outlined how the home of Eintracht Frankfurt could be considered “old” just 13 years after opening, with fresh ideas required to maintain and enhance fan engagement. State Farm Arena’s Thad Sheely drew a parallel between sports venues and amusement park makeovers. “You need to add something new every season,” he said. However, that can feature the venue’s environment, as well as the venue itself. To conclude with the opening presentation of #TDS18, Quintain’s chief operating officer James Saunders explained how Wembley Park has evolved since the new Wembley Stadium opened its doors in 2007. “In terms of apartments and developments, we’re adding a floor every 10 days here to drive a proper long-term economic engine into the site,” he said.